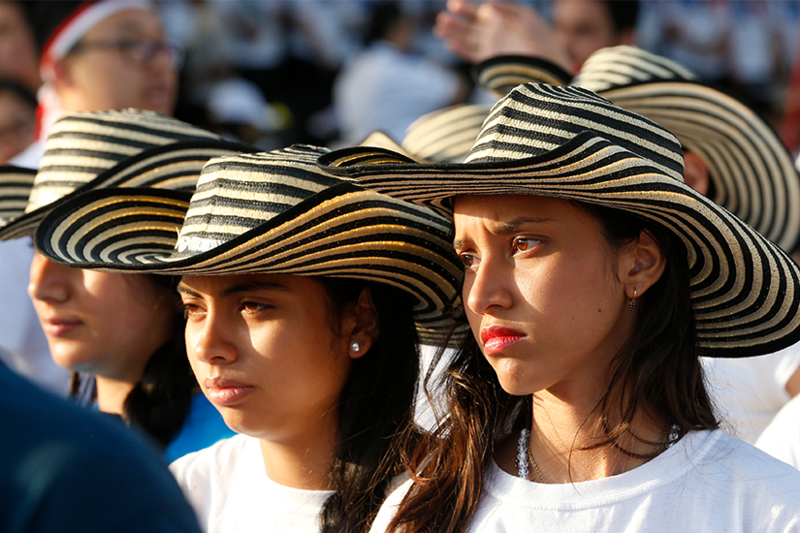 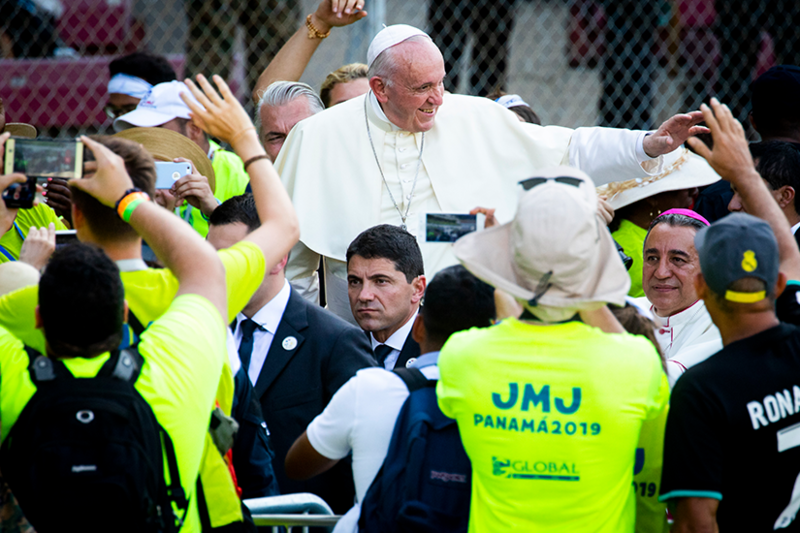 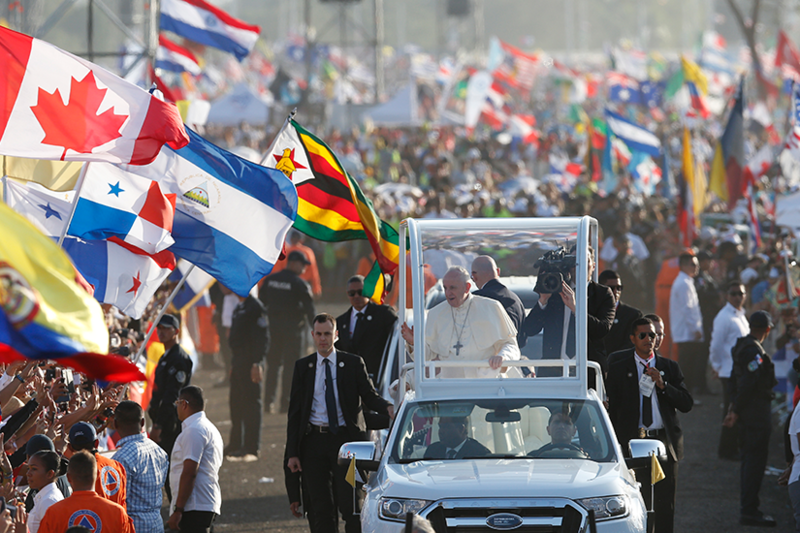 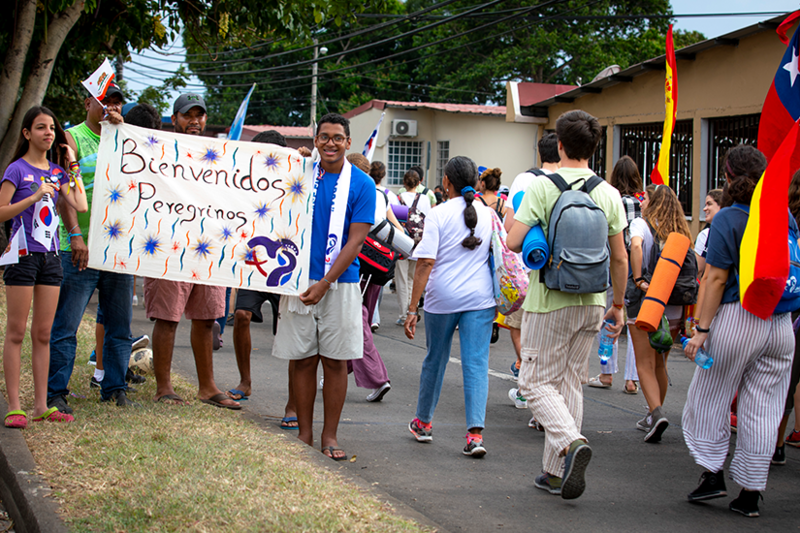 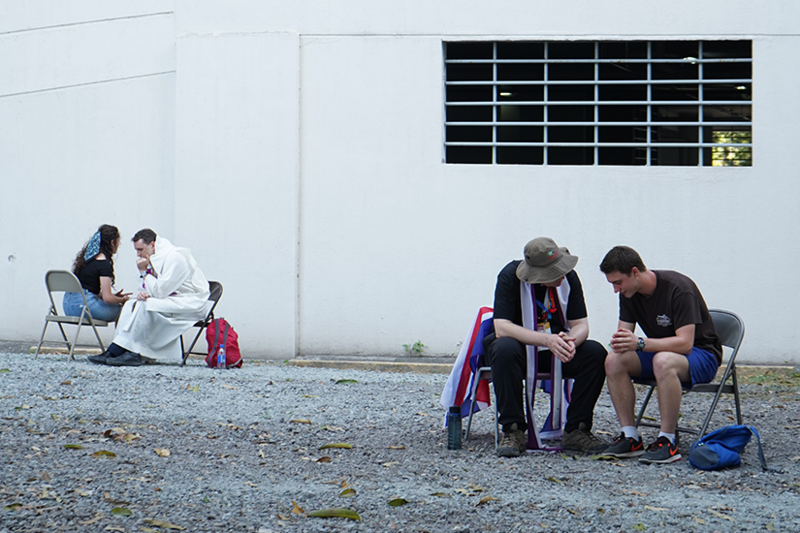 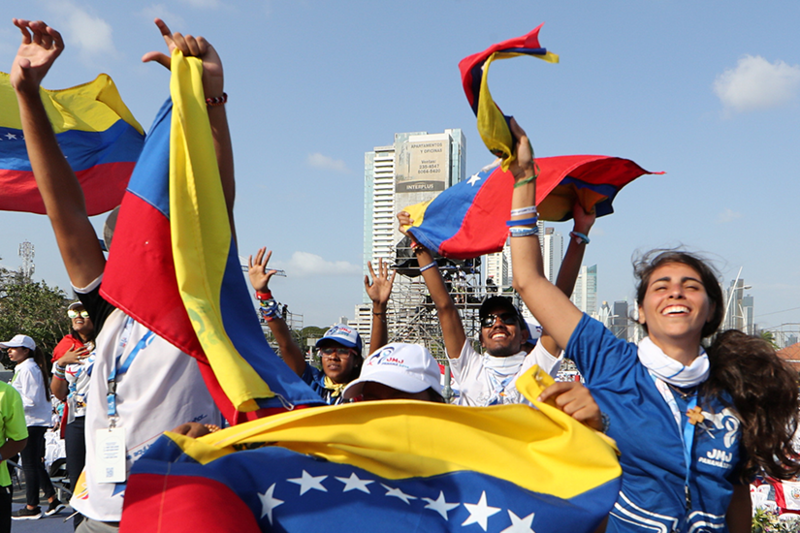 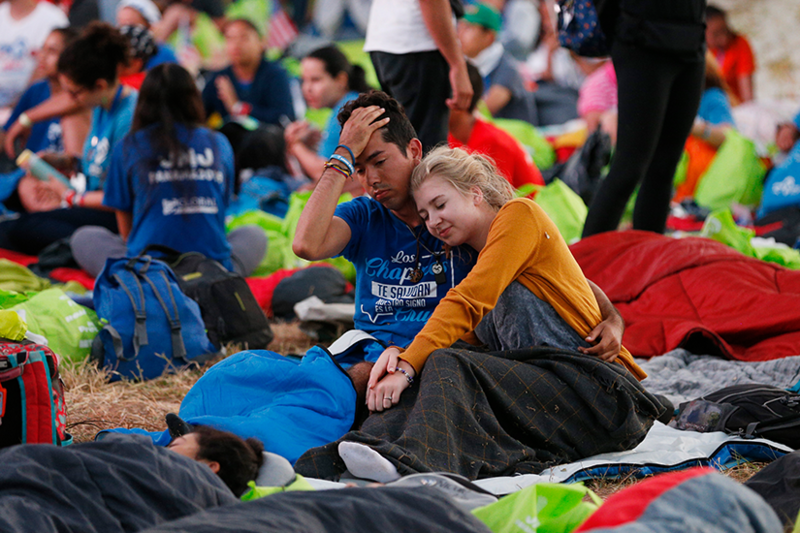 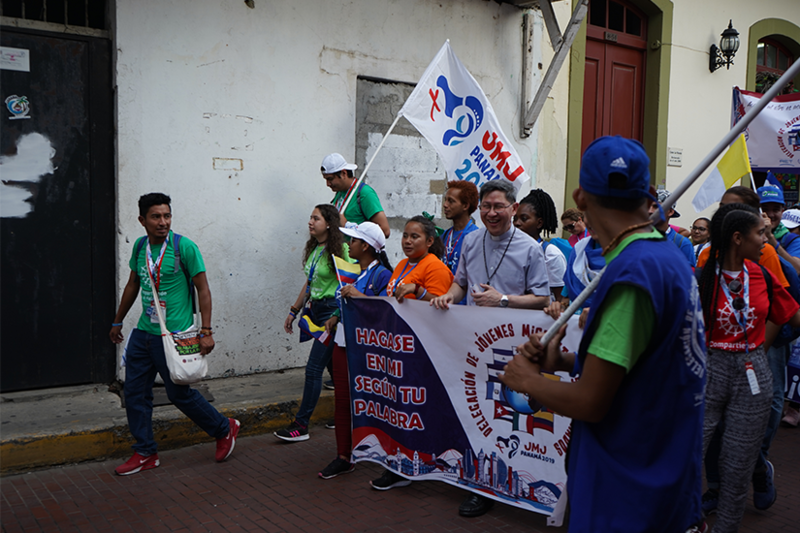 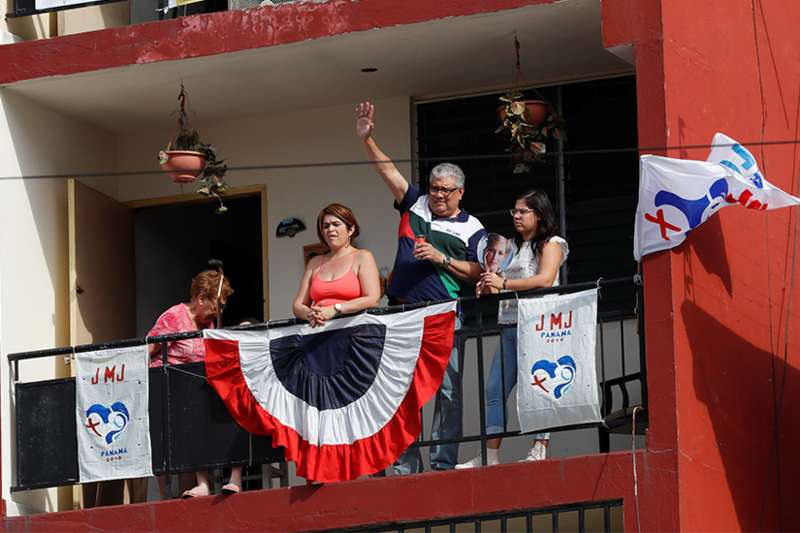 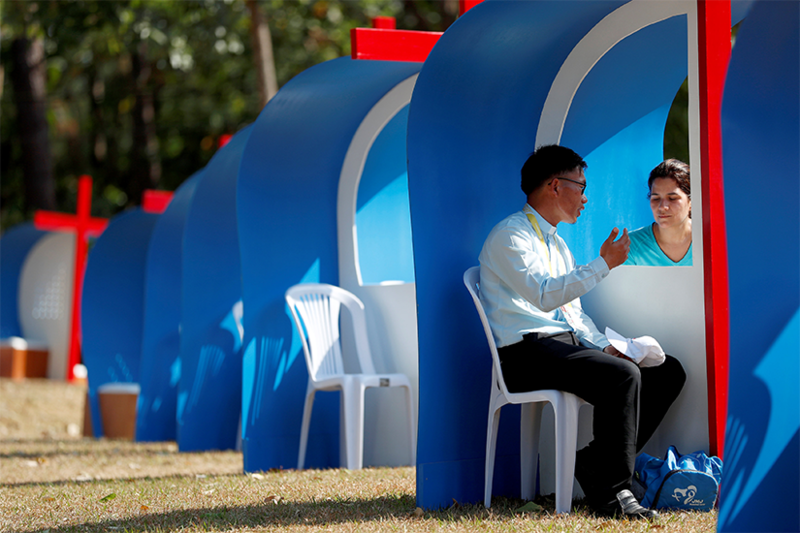 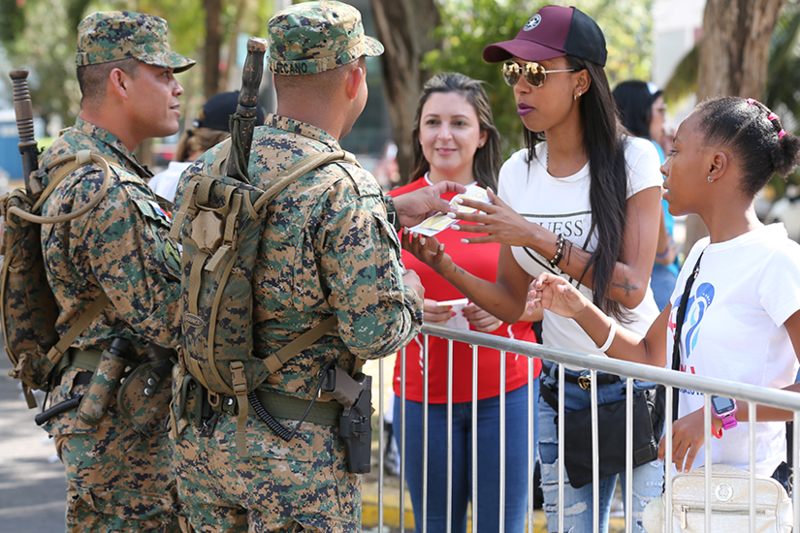 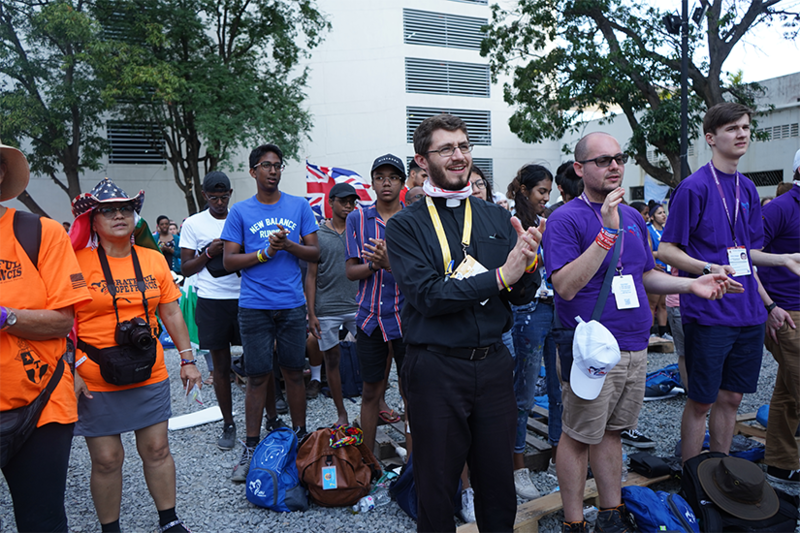 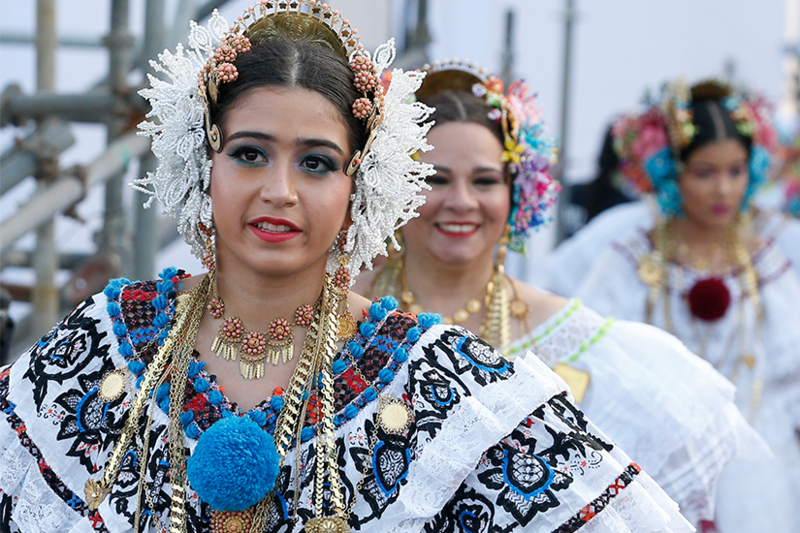 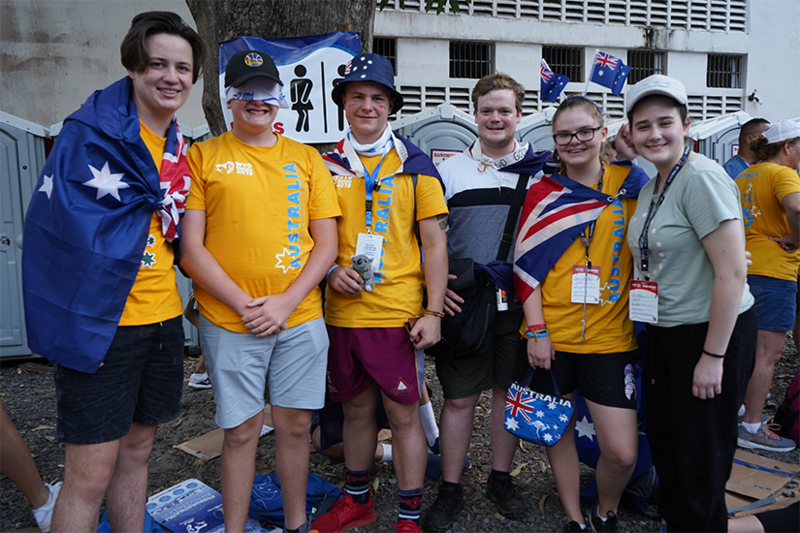 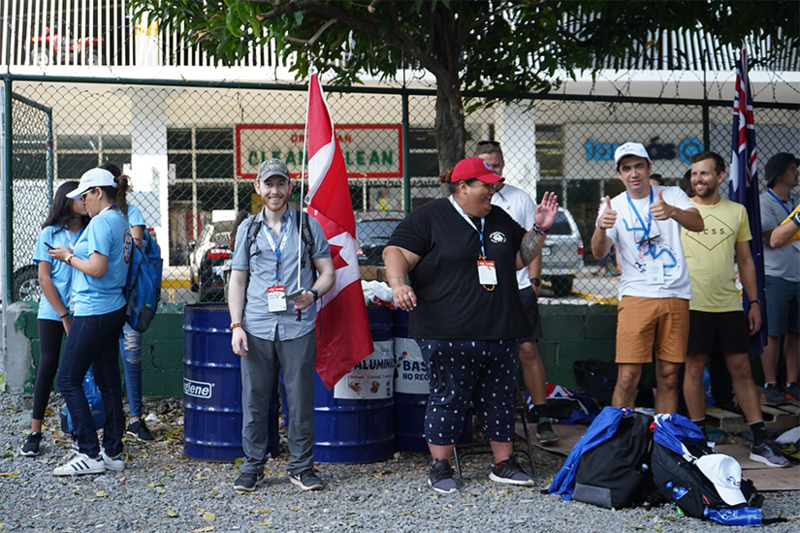 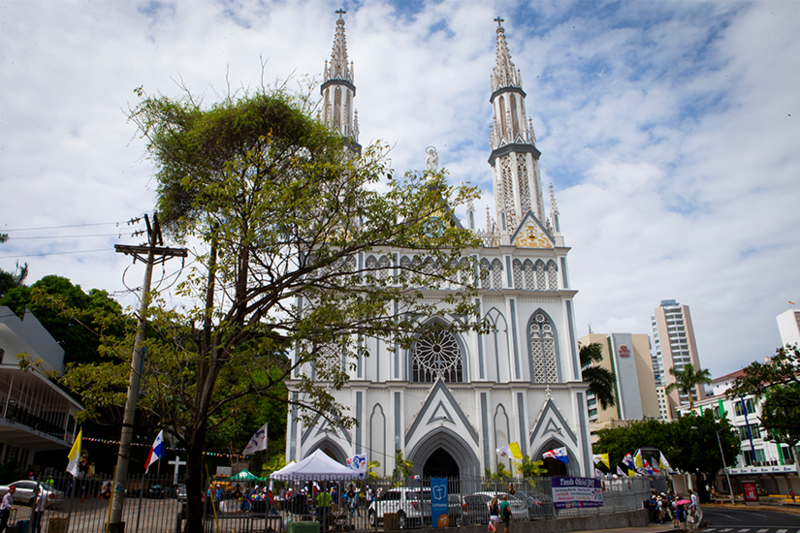 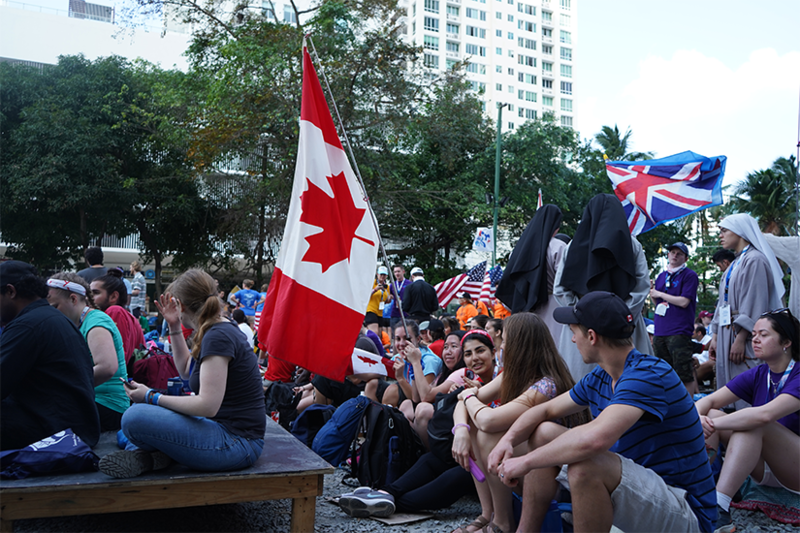 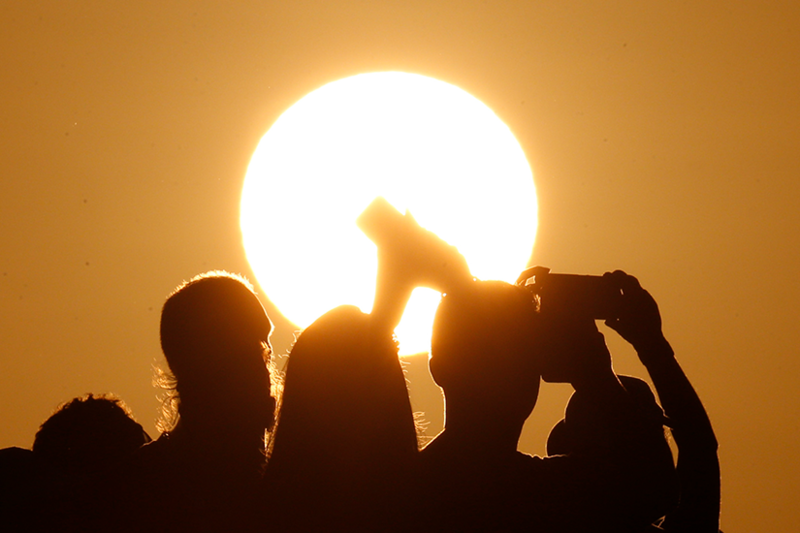 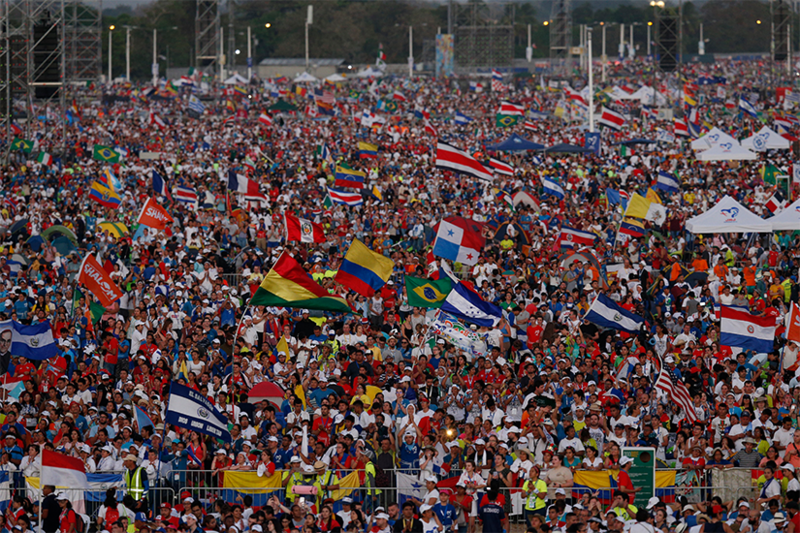 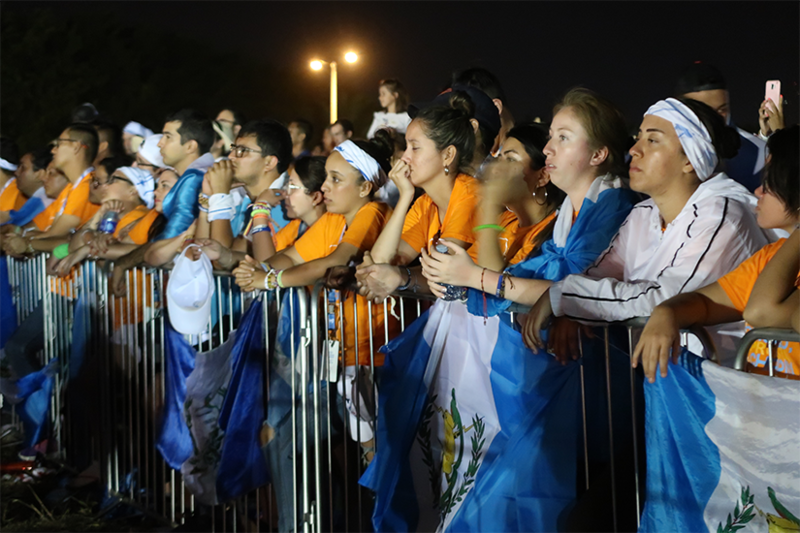 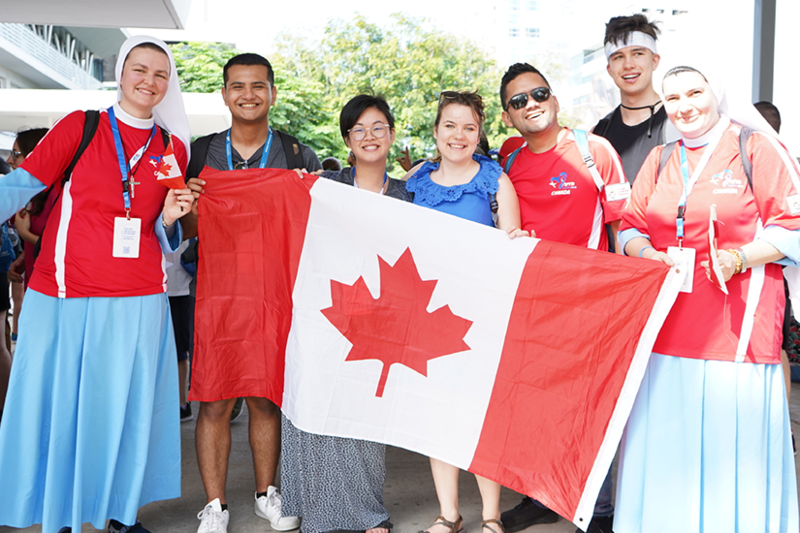 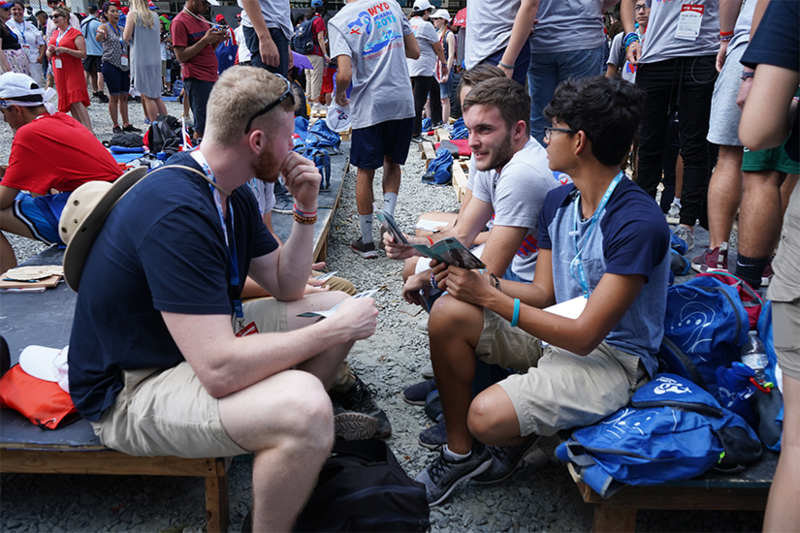 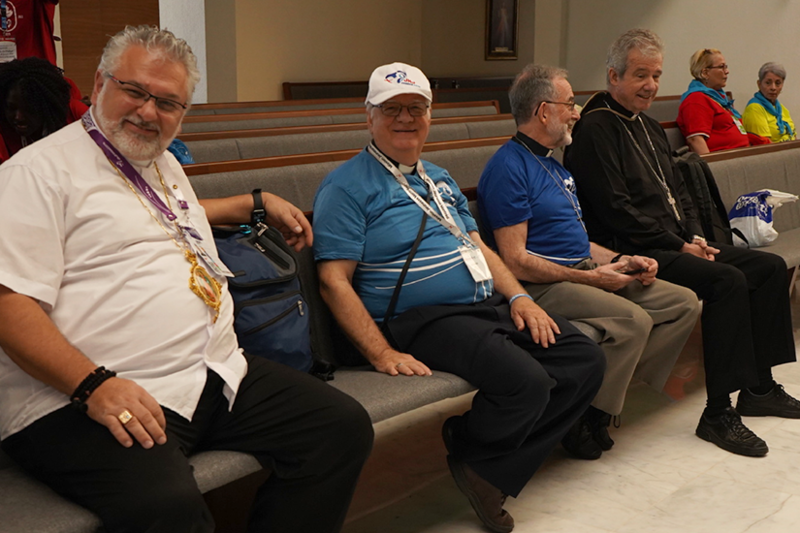 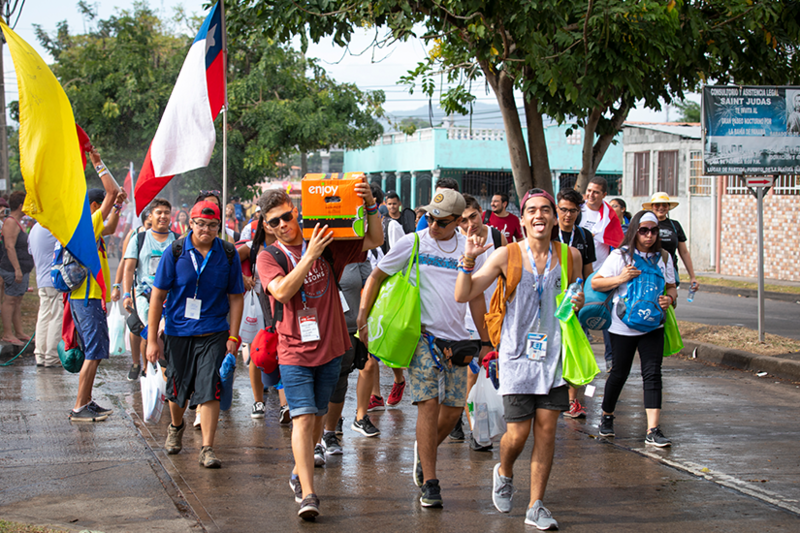 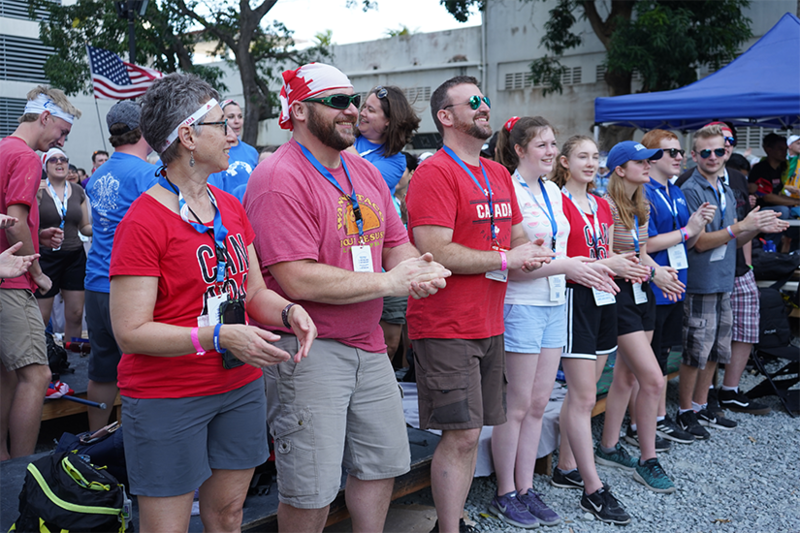 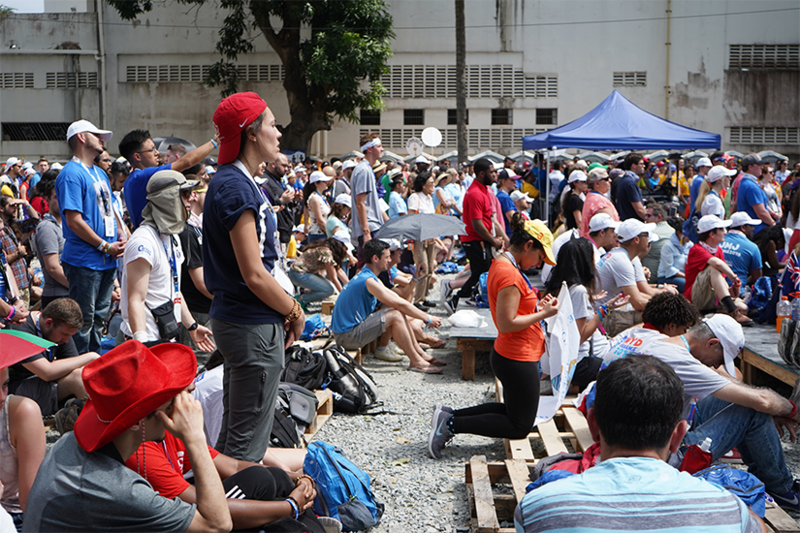 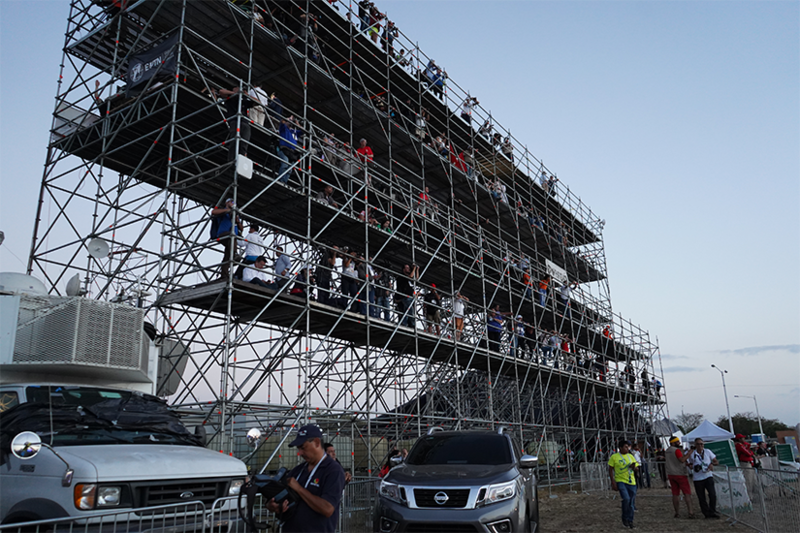 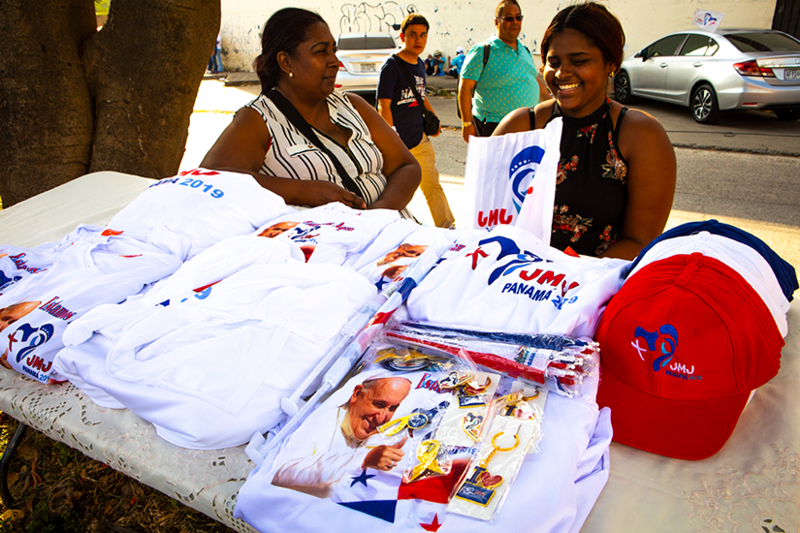 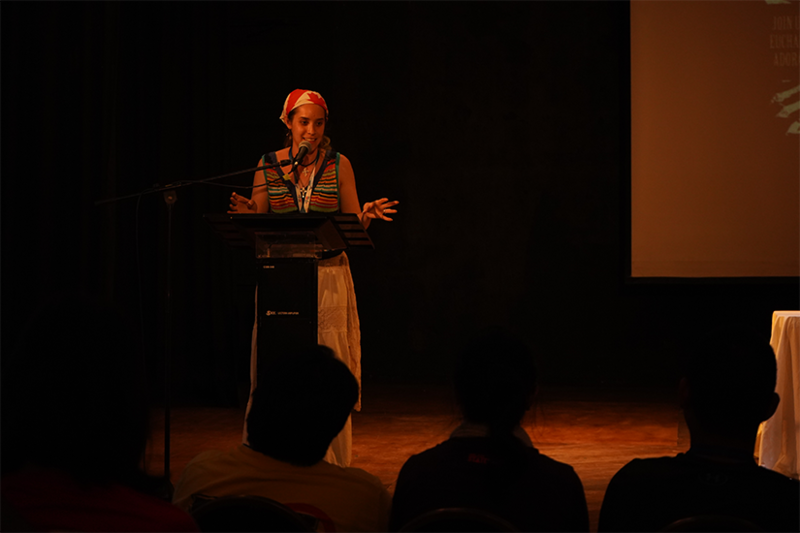 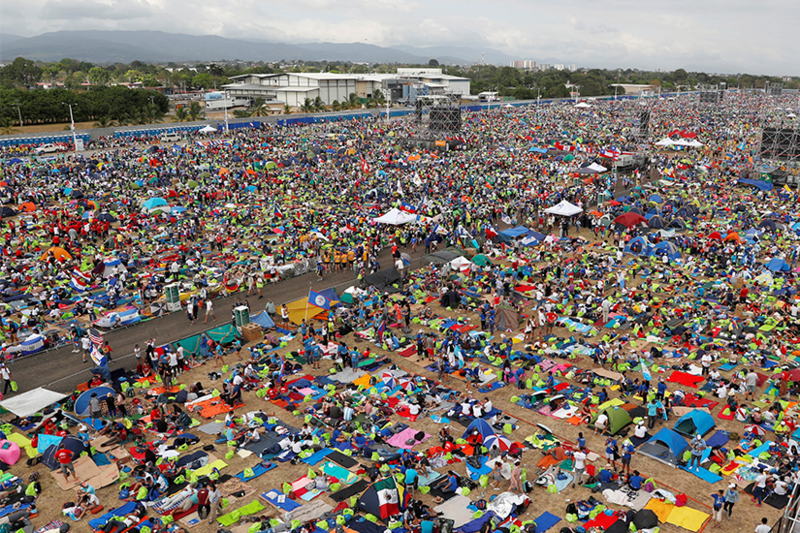 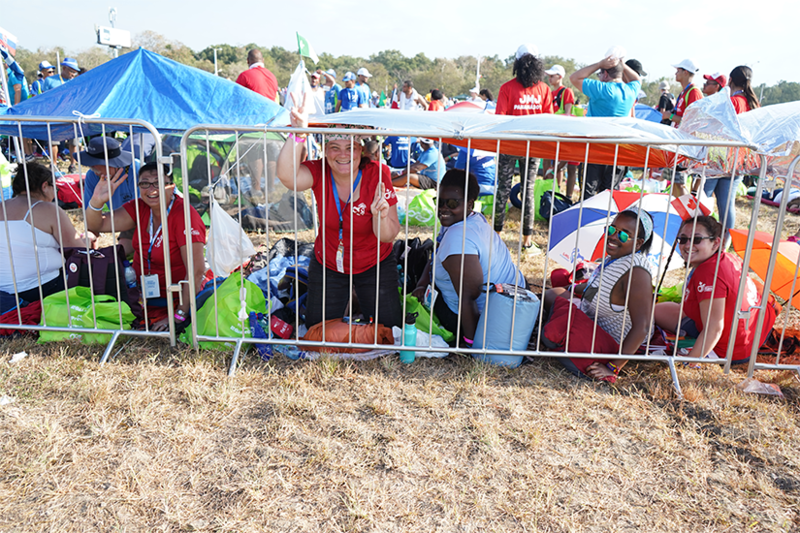 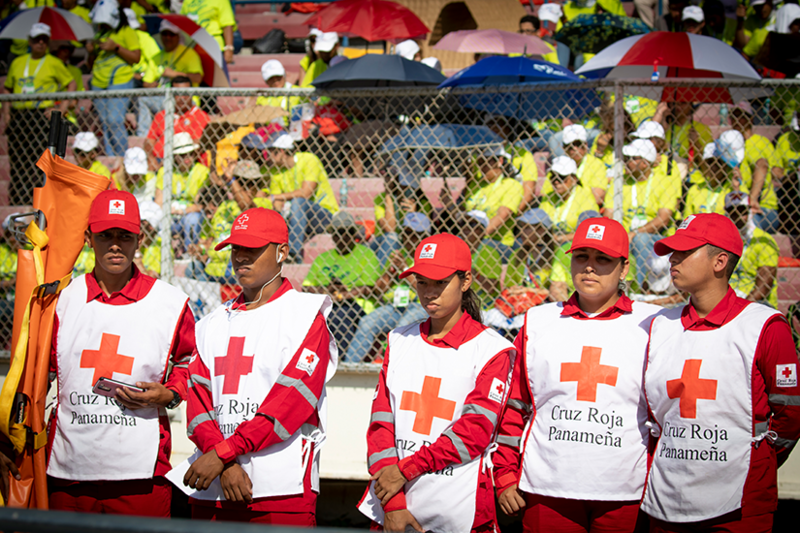 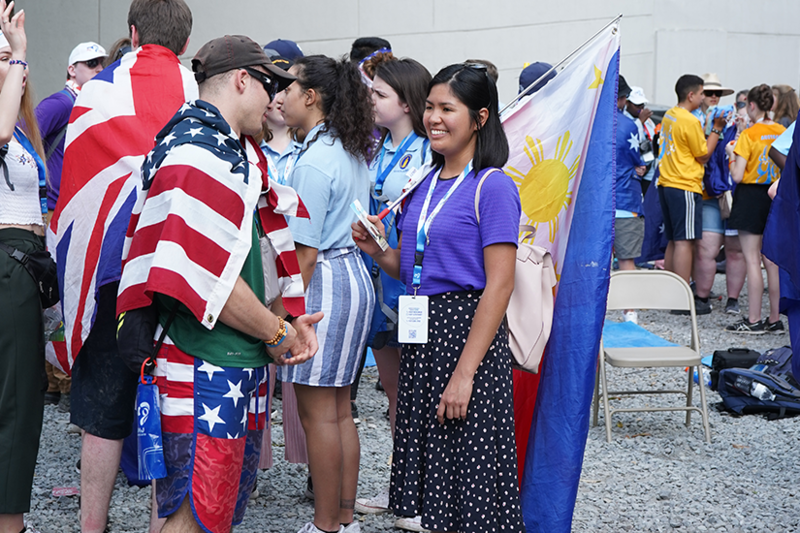 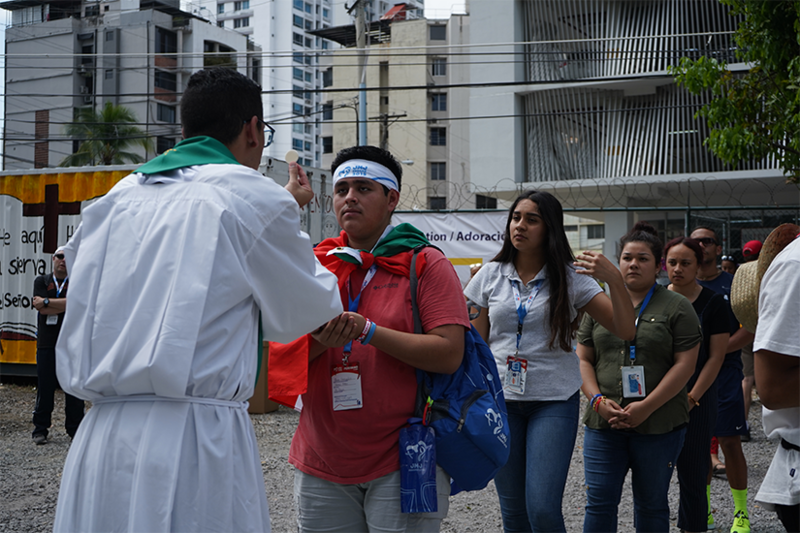 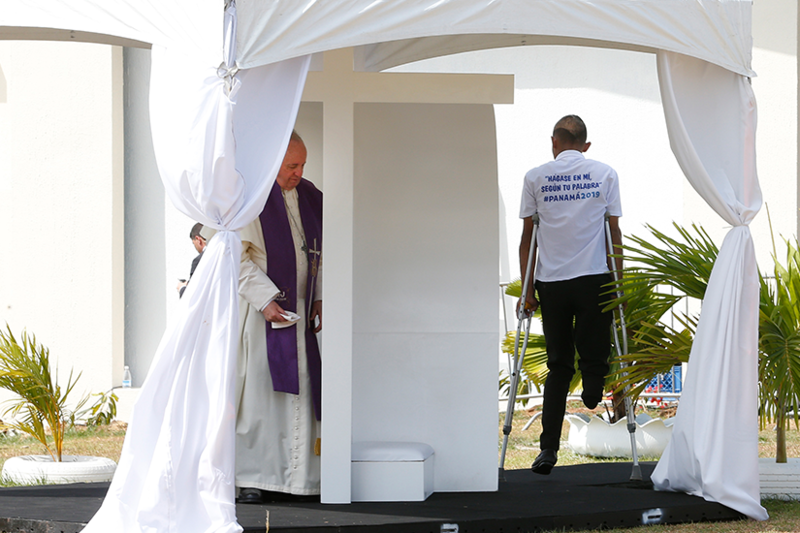 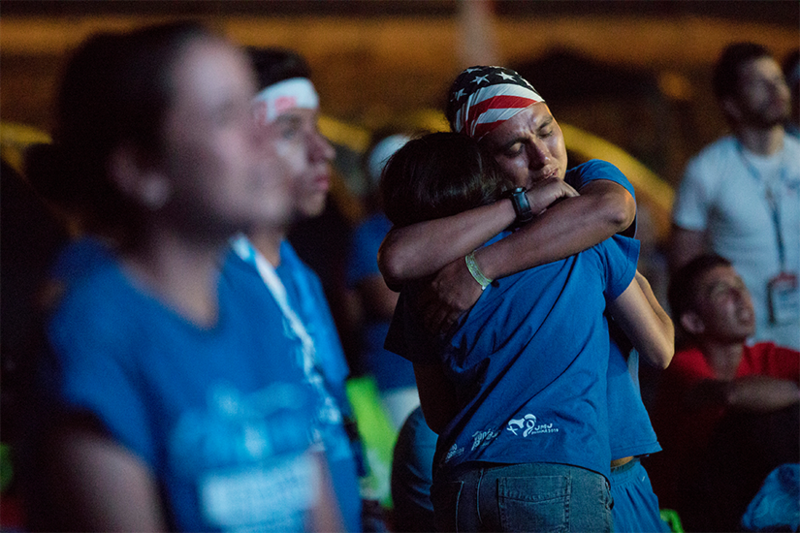 PANAMA CITY, Panama – At World Youth Day Thursday, Pope Francis told the bishops of Central America to be close to the people, and to let their wounds and suffering be the drive behind the bishops’ actions and priorities. 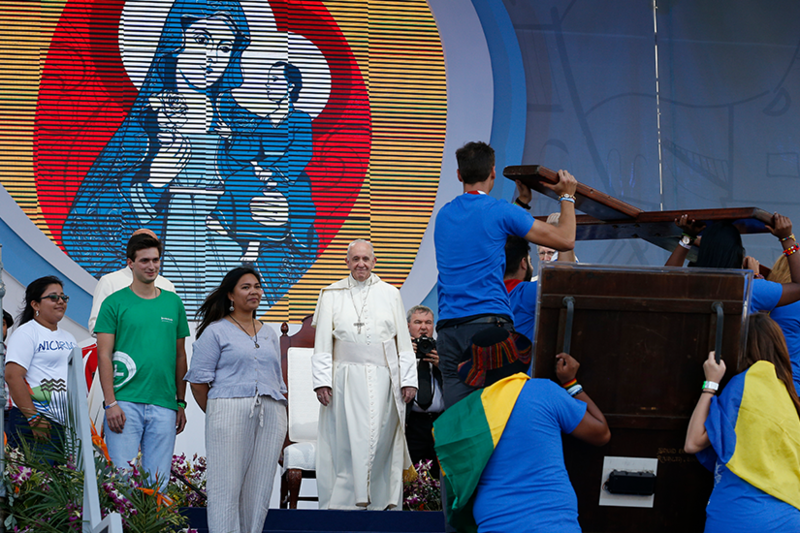 “It is important, brothers, that we not be afraid to draw near and touch the wounds of our people, which are our wounds too, and to do this in the same way that the Lord himself does,” the Pope said Jan. 24. 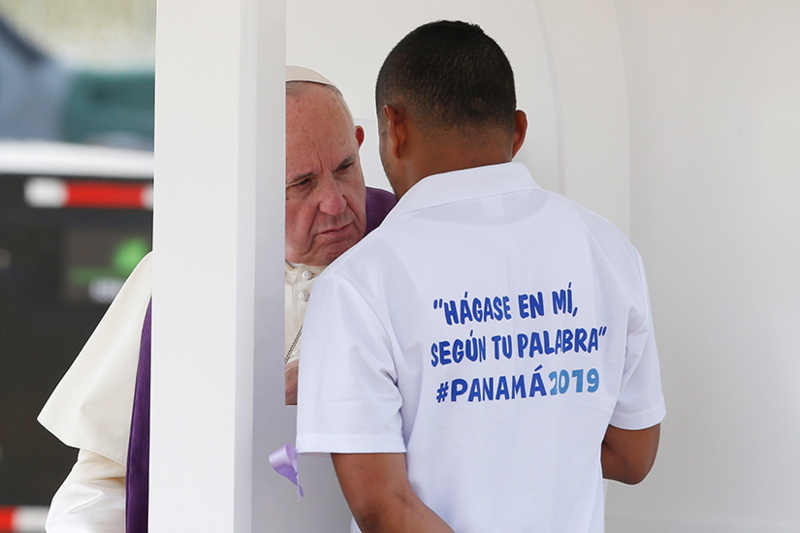 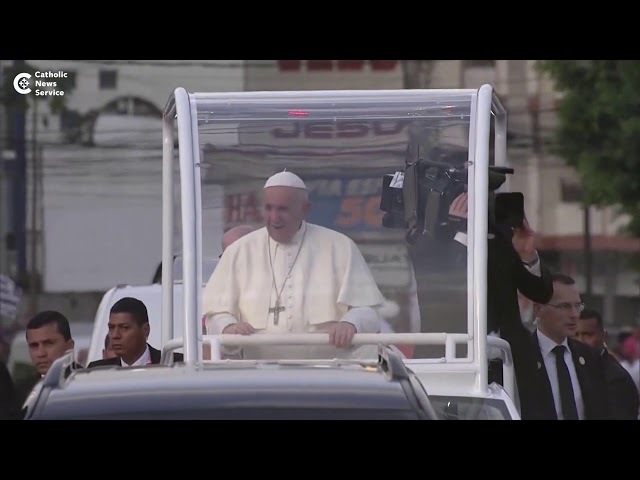 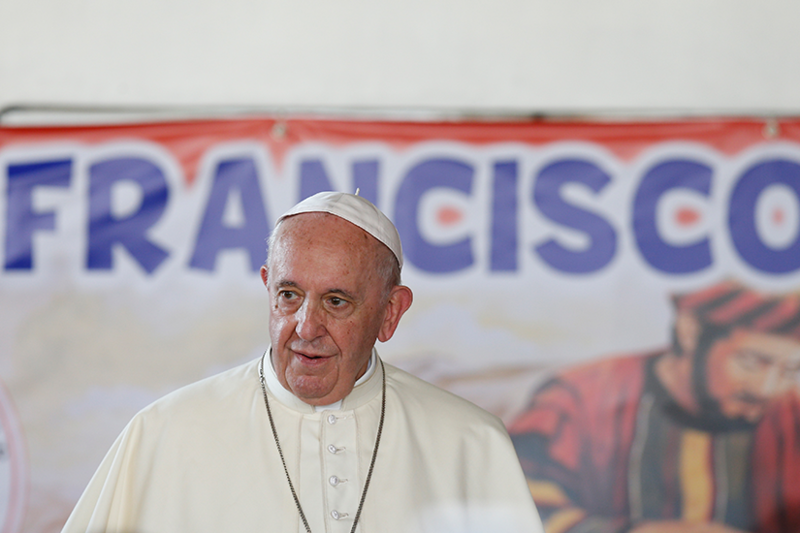 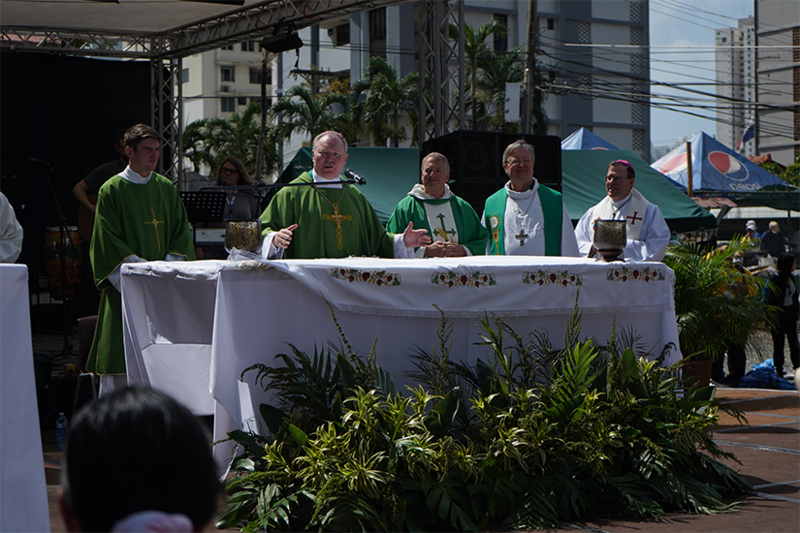 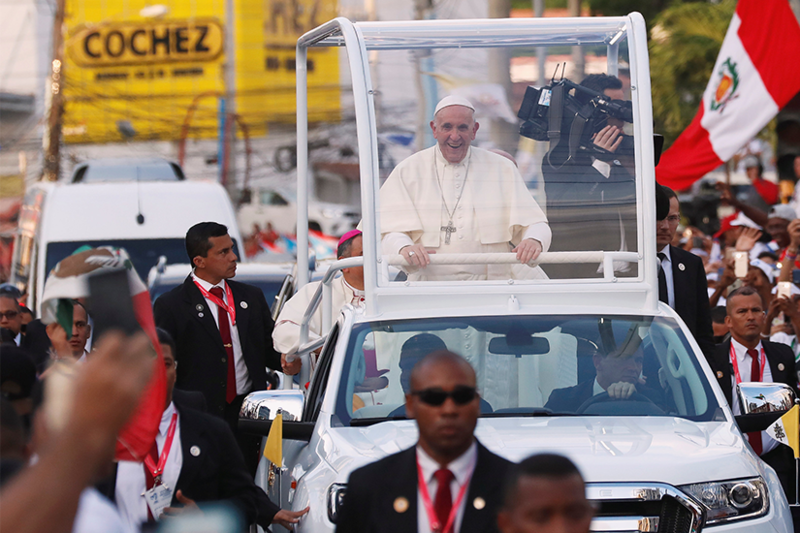 Pope Francis addressed the bishops of Central America during his first full day in Panama City for World Youth Day 2019. 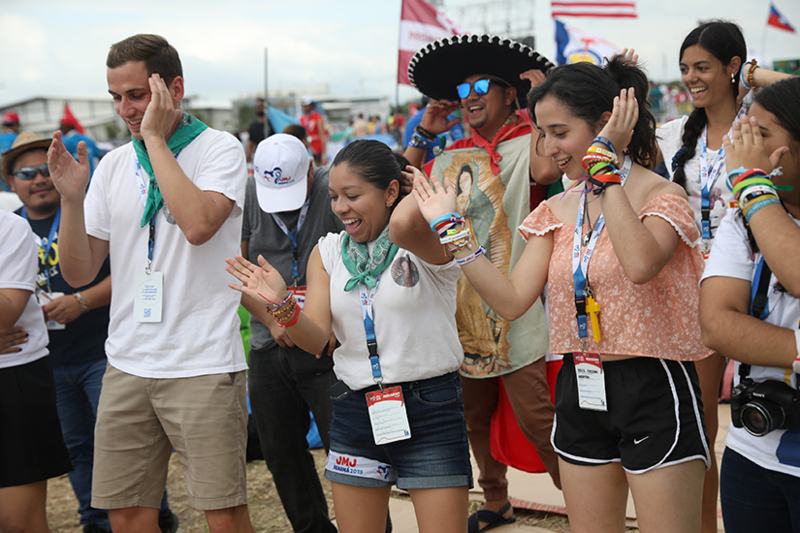 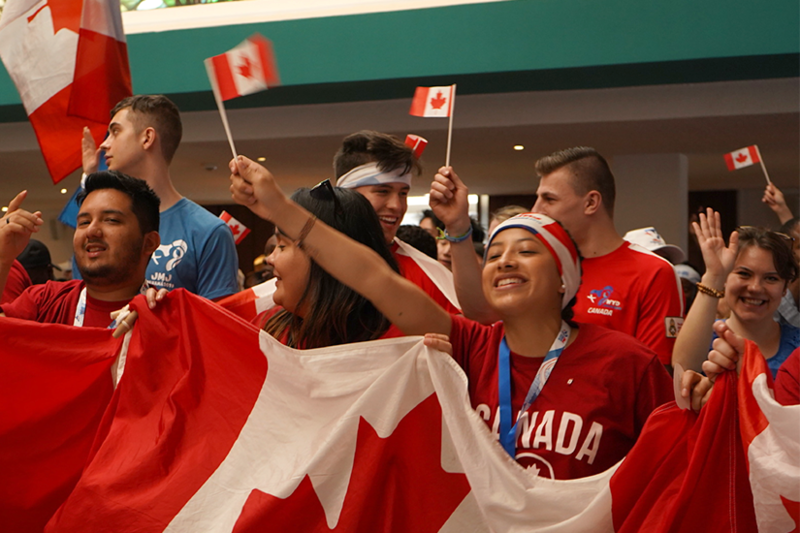 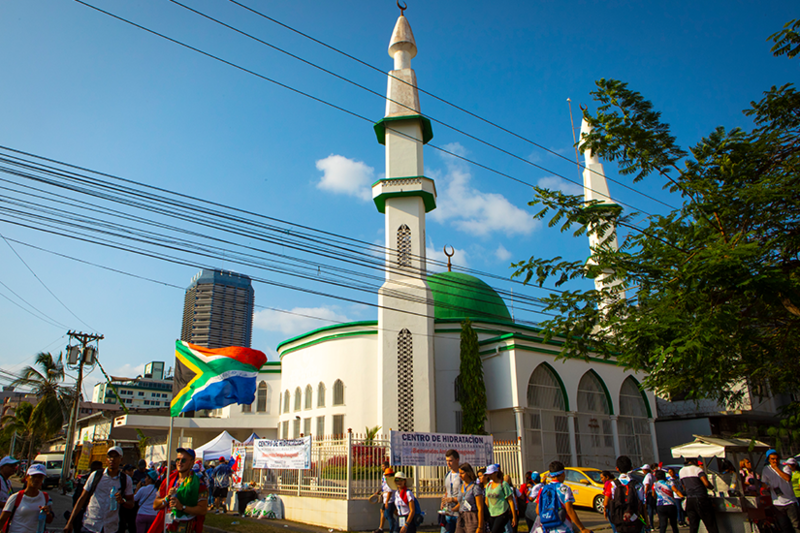 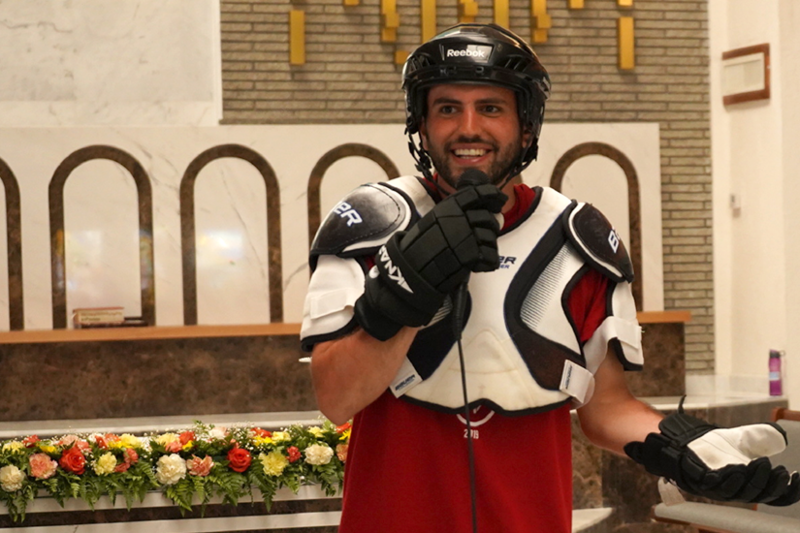 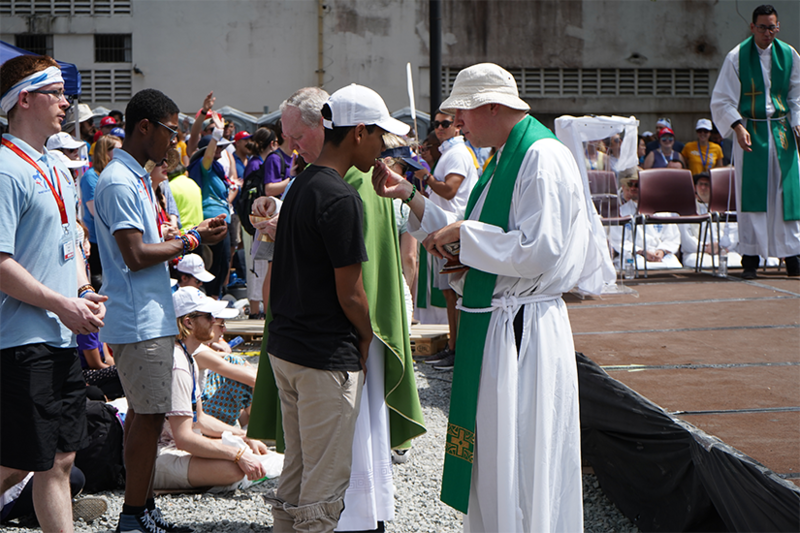 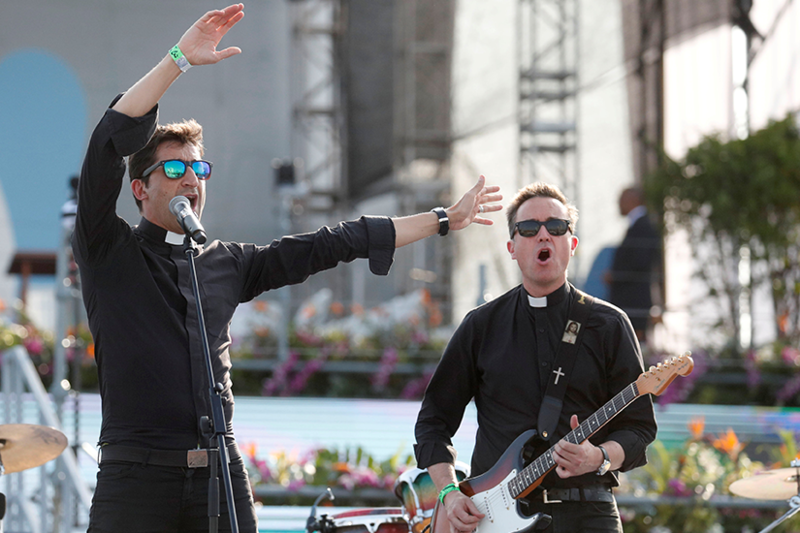 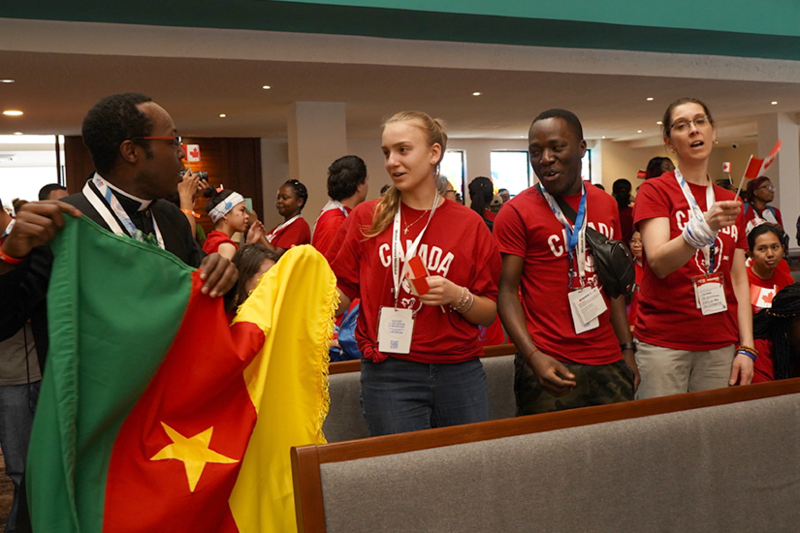 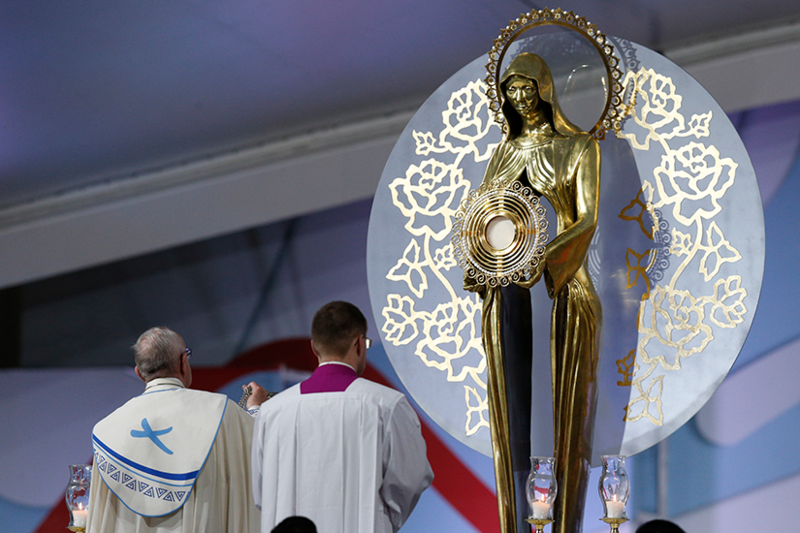 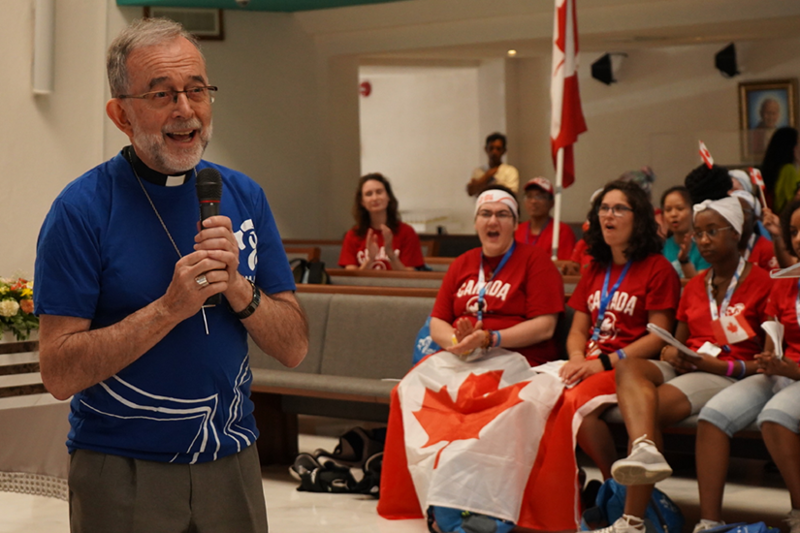 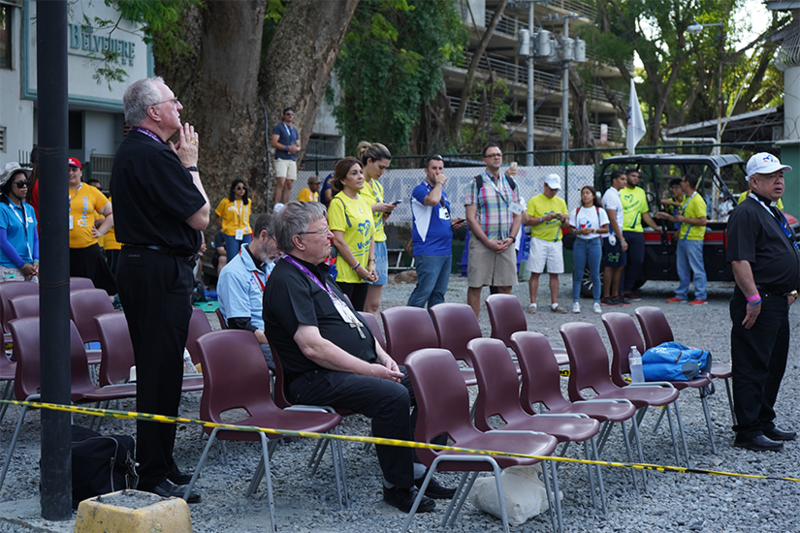 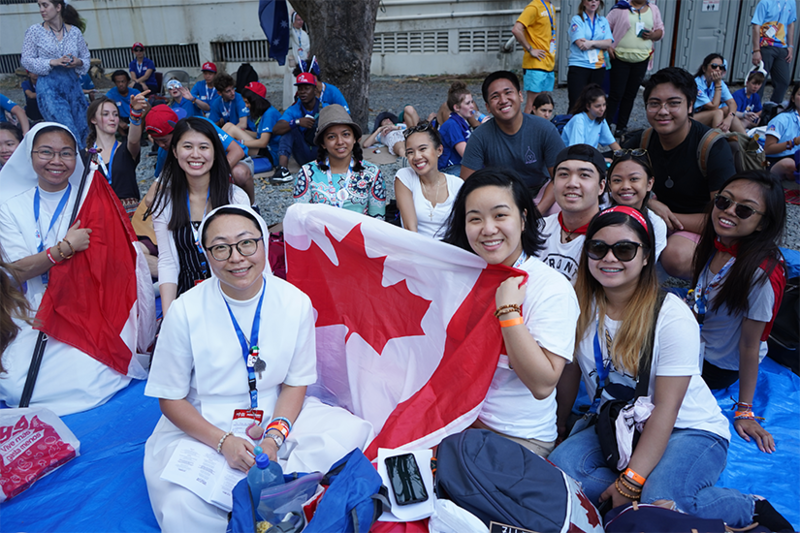 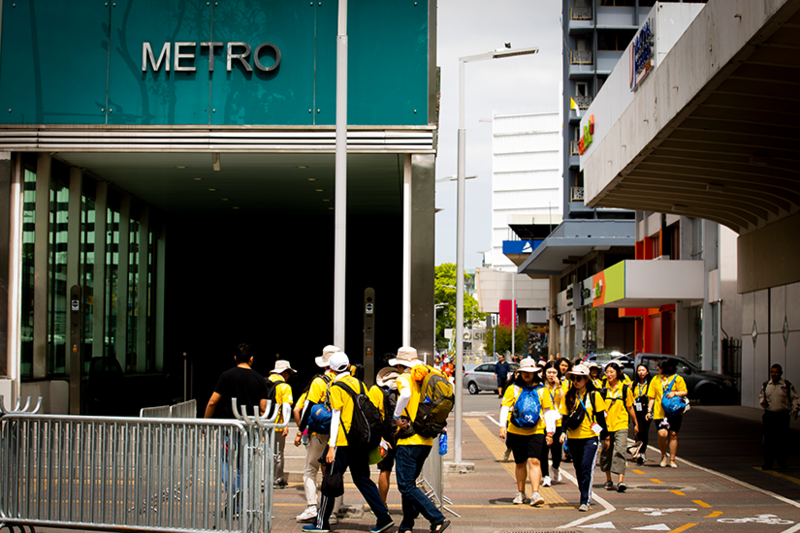 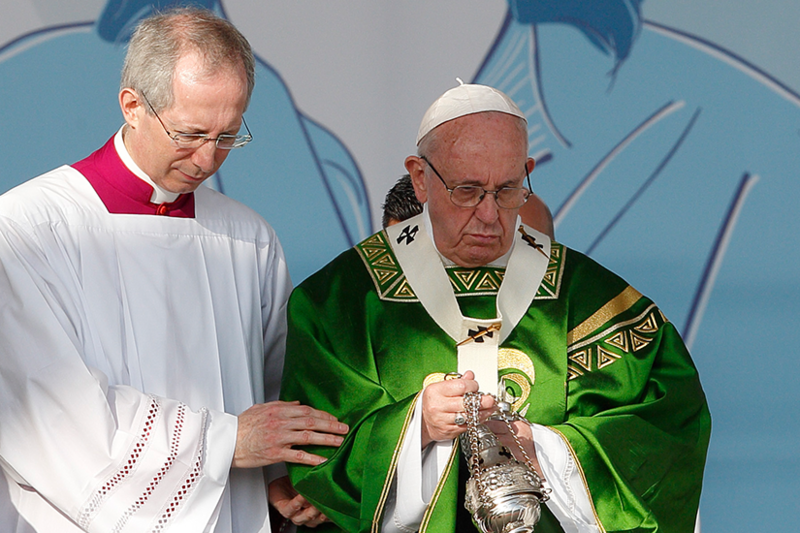 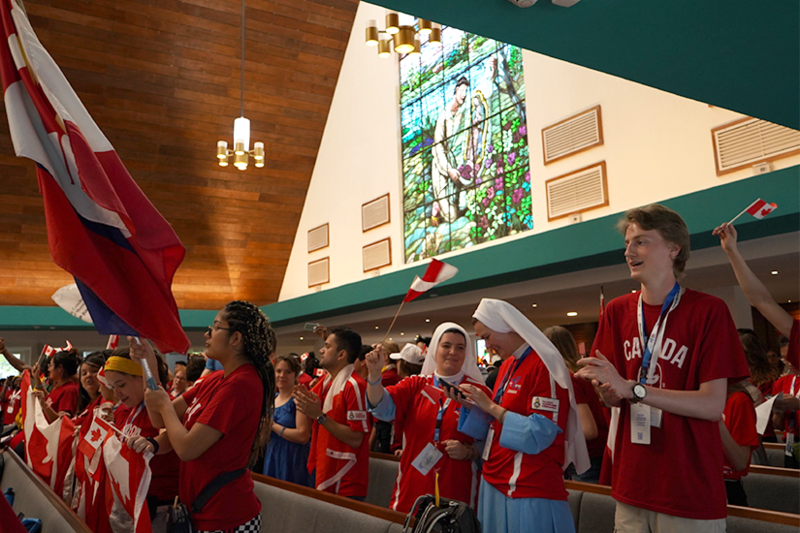 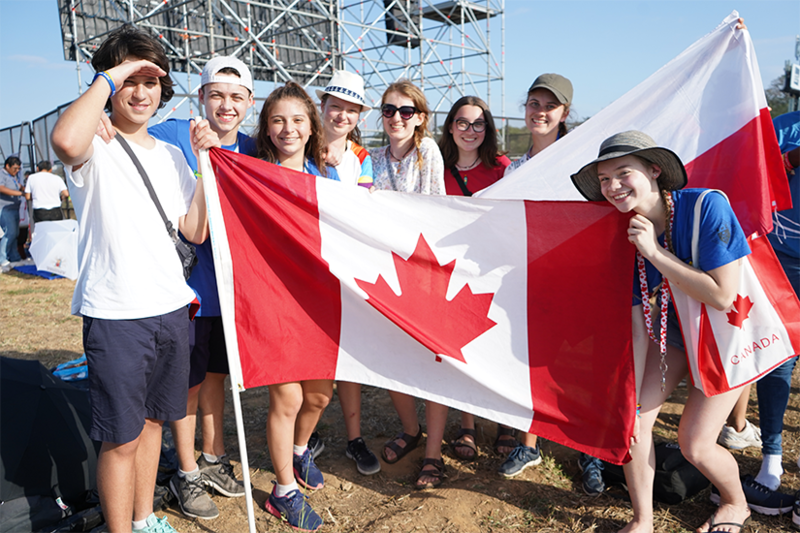 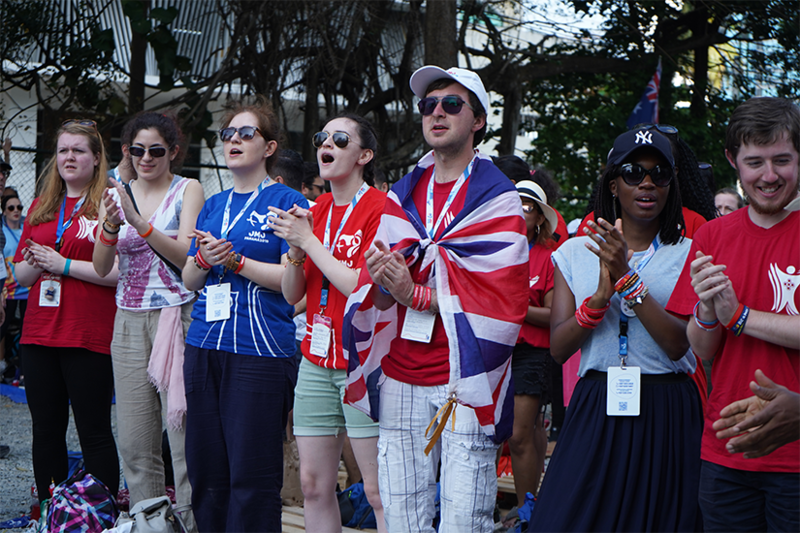 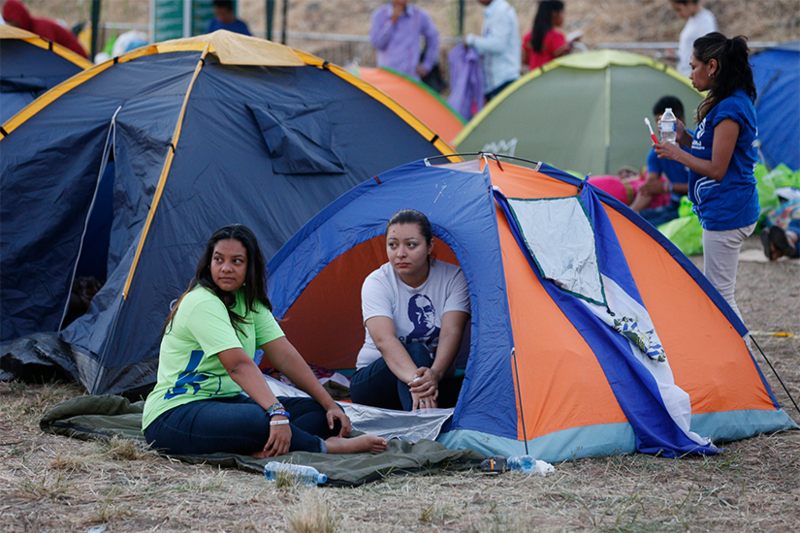 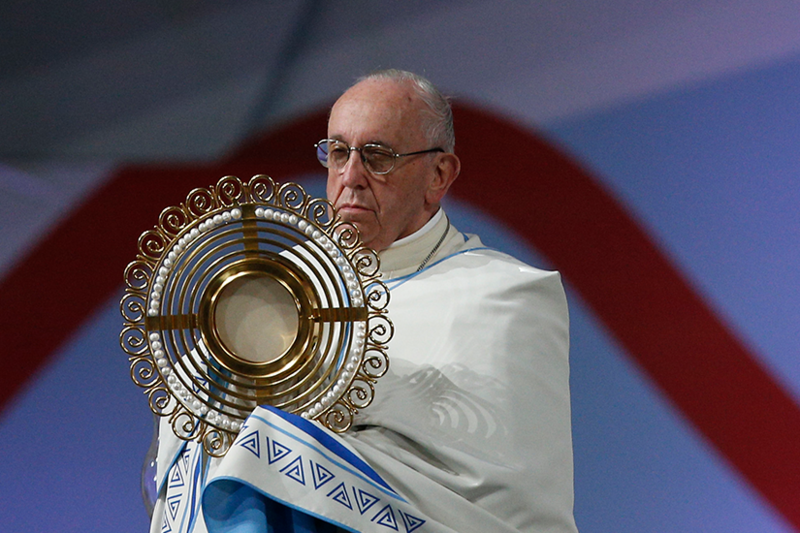 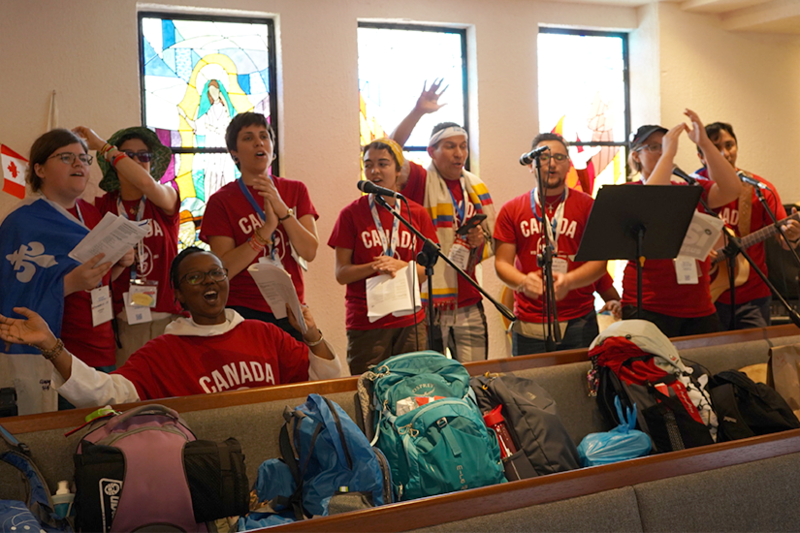 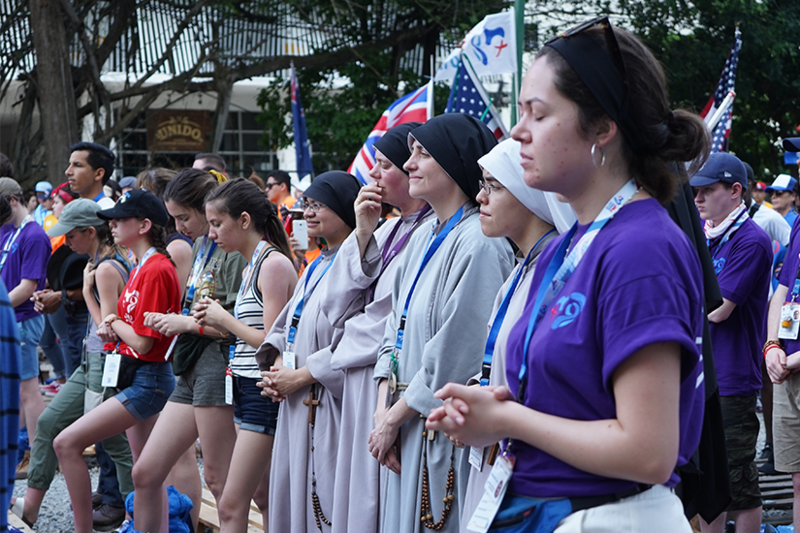 The international gathering of young people will culminate in a prayer vigil and Mass with the Pope Jan. 26-27. 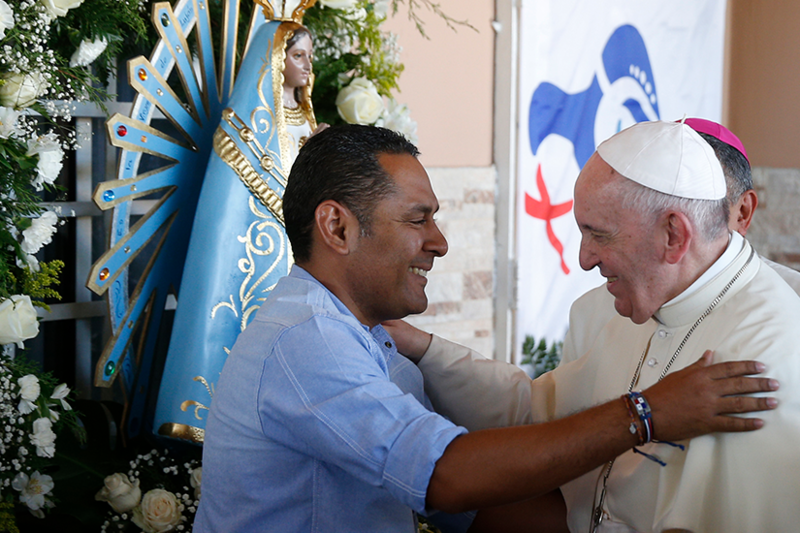 During his speech in the Church of St. Francis of Assisi, Pope Francis presented St. Oscar Romero, who was canonized last October. 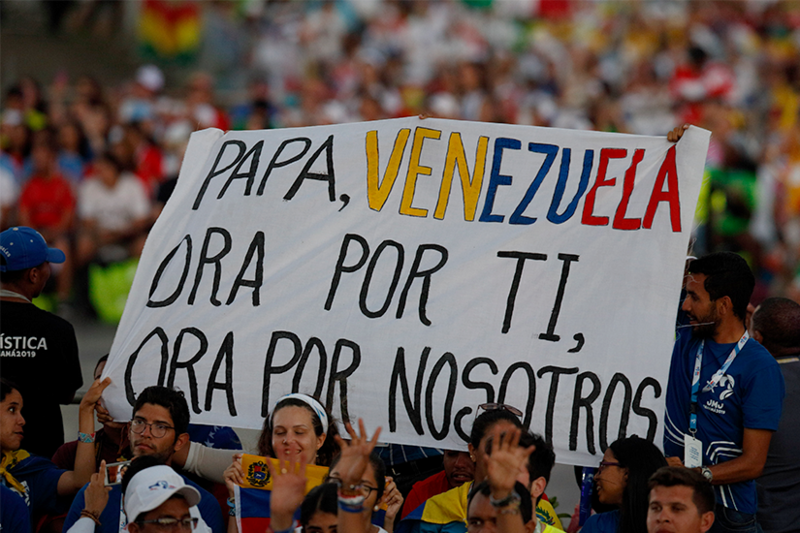 St. Romero was the Archbishop of San Salvador when he was killed during the celebration of Mass in 1980. 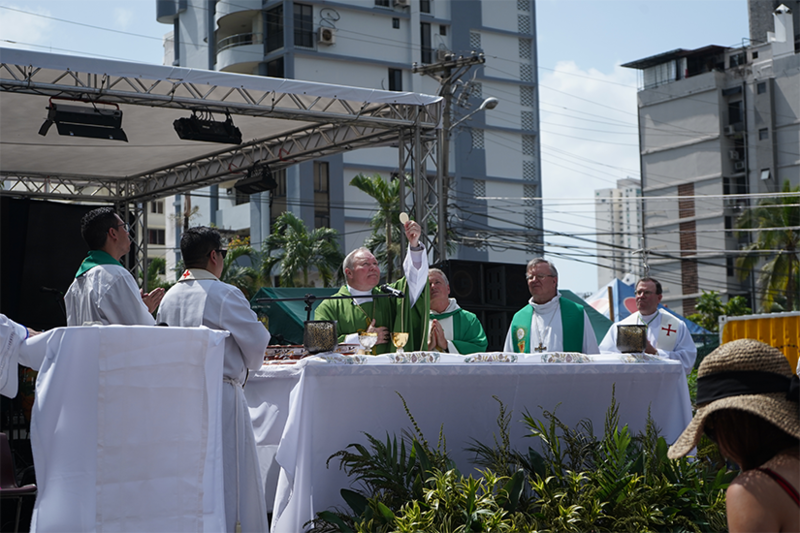 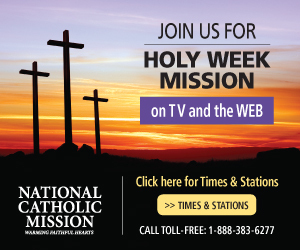 It is normal for priests and their bishop to have the occasional disagreement, but “it is important that the parish priest encounter [in his bishop] a father, a shepherd in whom he can see a reflection of himself, not an administrator concerned about ‘reviewing the troops,’” he emphasized. 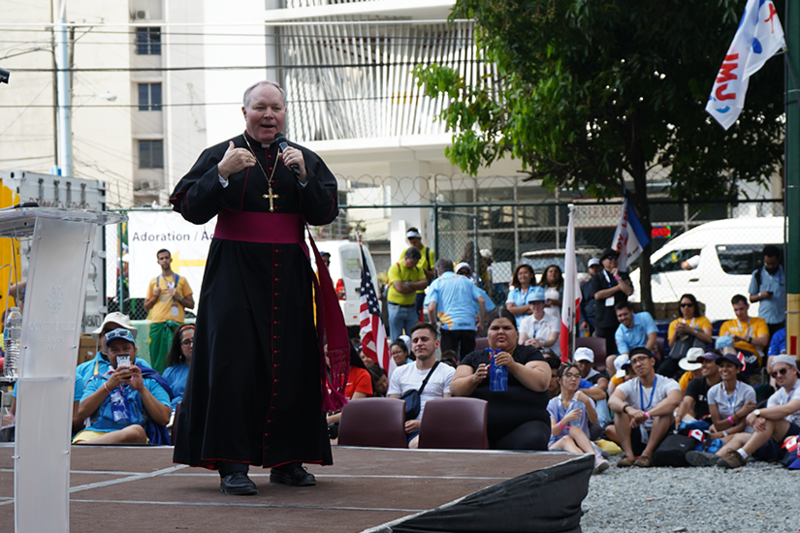 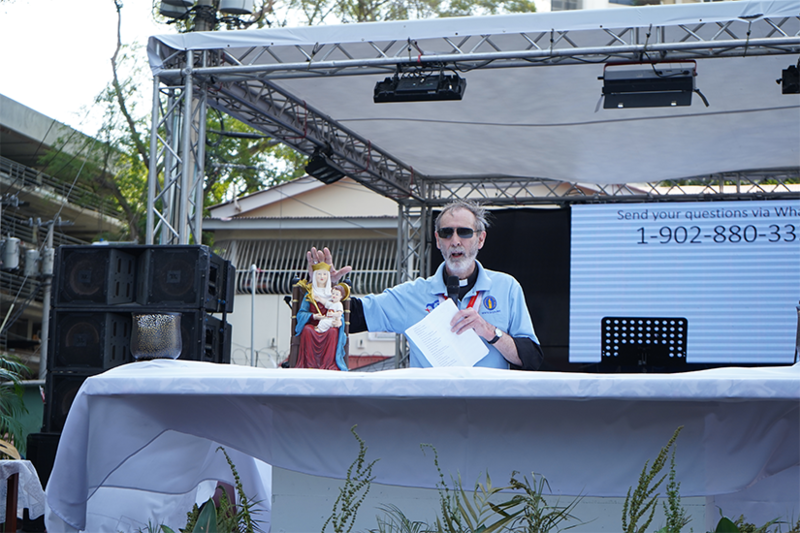 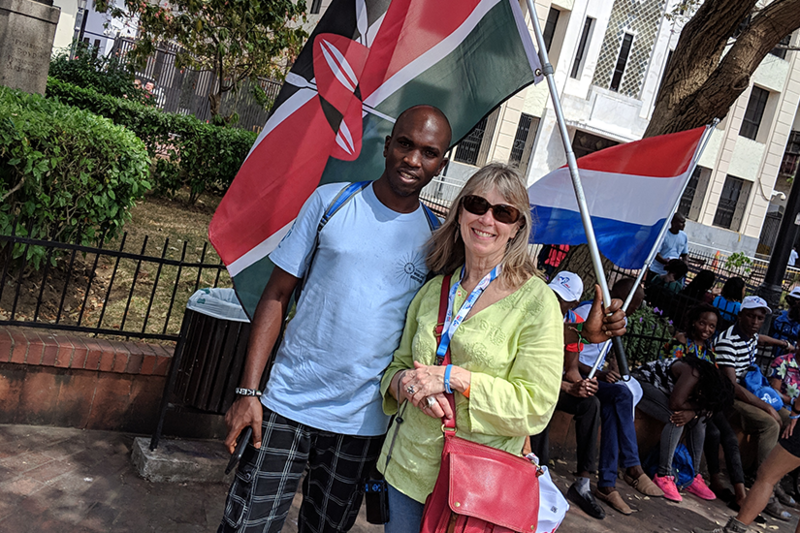 The bishop “must smell the ‘odor’ of the sheep, the men and women of today, until he is steeped in their joys and hopes, their sorrows and their anxieties, and in so doing ponder the word of God,” he said. 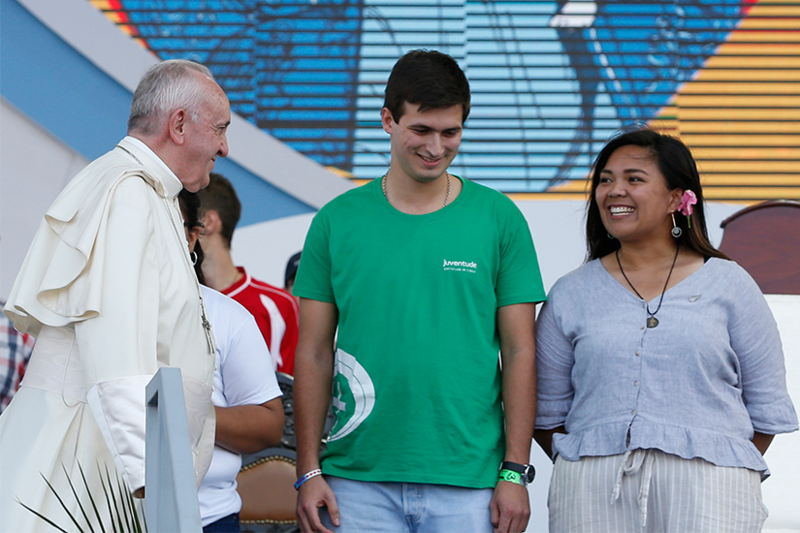 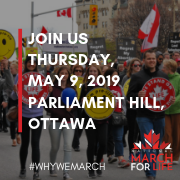 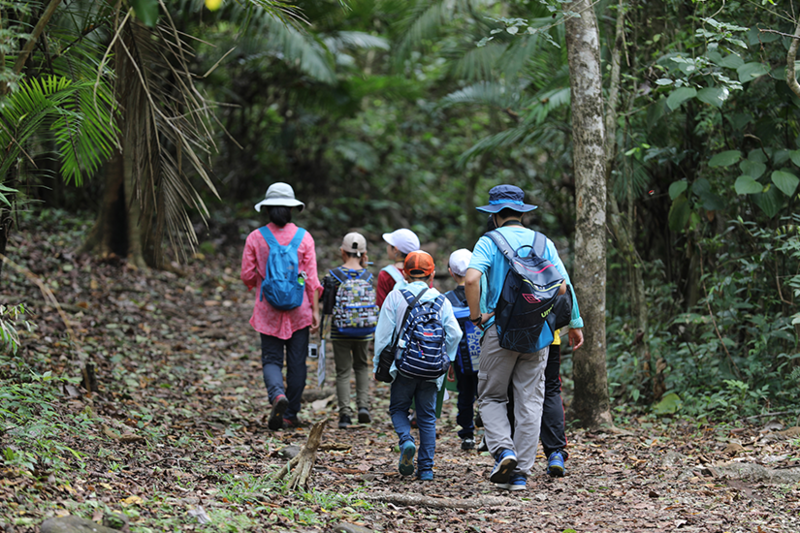 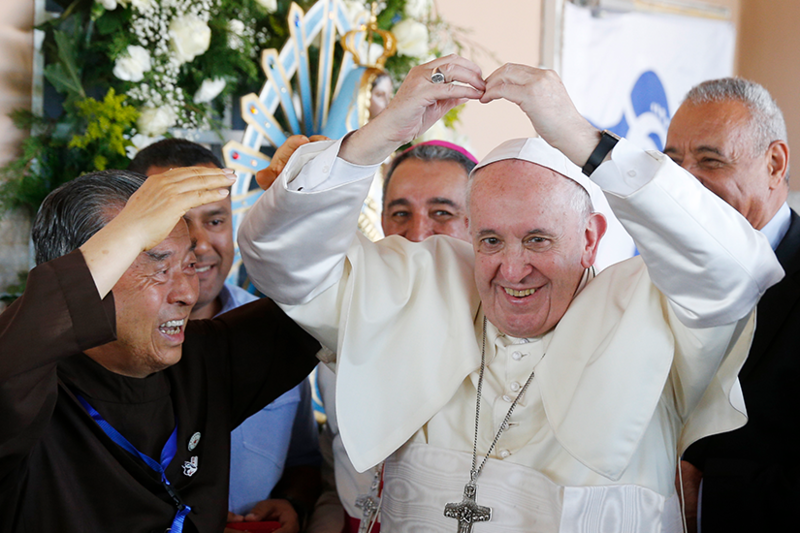 The Pope also encouraged them to promote programs and educational centers for young people, in order to protect them from the influence of the “culture of death,” which only appears to offer solutions to today’s problems. 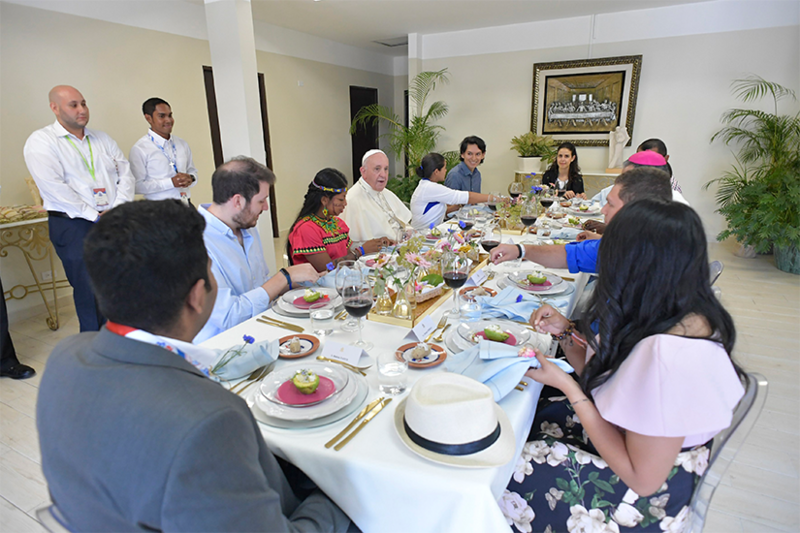 Francis also addressed the issue of migration, referencing a recent pastoral letter of the bishops of Central America which called attention to the “massive and organized” migration affecting the region and the danger it poses to the dignity of the human person. 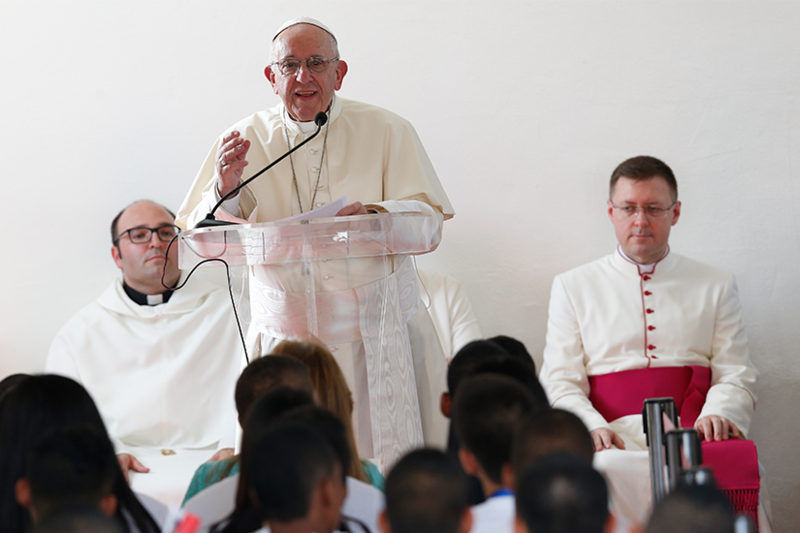 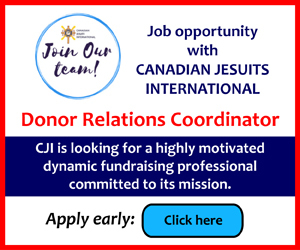 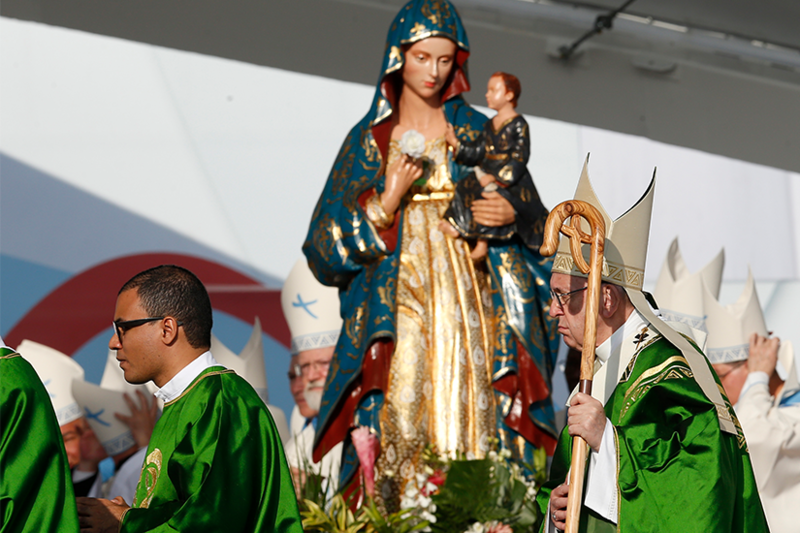 “The Church, by virtue of her universality, can provide the fraternal hospitality and acceptance that can enable the communities of origin and of destination to dialogue and to help overcome fears and suspicions, and thus to consolidate the very bonds that migrations – in the collective imagination – threaten to break,” he said.